Bring an Autotank back to Ashburton! Never let it be said that a letter writing campaign does not make any difference! 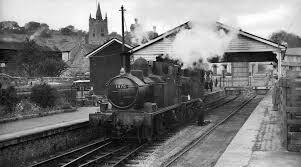 If you emailed the Dartmoor Planning Authority to tell them that we want South Devon Railway trains back in Ashburton station you will have received details of the now significantly amended Masterplan for the station and surrounding area. “A significant proportion of the responses received relate to the railway, these suggest the Masterplan should consider better protection of railway buildings, the safeguarding of the route of the former railway line, or even the reinstatement of a rail link between Ashburton and Buckfastleigh. Given the extent of interest in this issue, which has not been raised previously, due consideration should be given to if and how the Masterplan may be amended. In order to do so it will be necessary to gather further evidence to support the railway proposals. 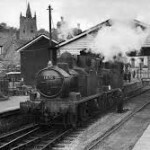 The South Devon Railway, with the newly established Friends of Ashburton Station has undertaken to prepare evidence in order to consider the options relating to the railway and Chuley Road and we will support them in doing so. I am sure we are not at all sorry that this has delayed matters and that it gives the SDR and Friends group time to really get to work making the case for the railway option ! I have no doubt that the Everything GWR community has contributed to helpoing the DPA to reconsider their initial plan and I hope we are all ready to act to support the campaign in its next stage. I shall be going down to talk to the Friends group and also make a short film about the campaign in the next couple of months in the hope that this will be a useful form of support for them. Watch this space and thank you again for your amazing support.